HT760 tyres are design to work all year long, dealing with all environments and conditions with ease. 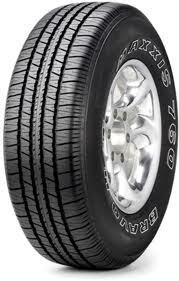 The advantage of this kind of tyre is that you don’t have to change it according to the season or weather and you will get great performance at all times, from sun to rain to snow to ice. High quality tyres also offer excellent comfort and stability, making every journey more pleasant for you and your passengers.